Don’t let the trailer fool you — “Creed” is not just another “Rocky” sequel. At first, another “Rocky” movie, let alone a spinoff, seems ridiculous — at this rate, his retirement comeback count rivals Brett Favre’s. But “Creed” proves that not every comeback has to be one’s own journey. As a result, Adonis grew up without his father, hopping from foster homes to juvenile detention centers until Apollo’s wife, Mary Anne (Phylicia Rashad), tracks him down and adopts him. Adonis — with the help of Rocky Balboa (Sylvester Stallone) — seeks to leave the high-class life Mary Anne offers him behind to pursue a boxing career, just like his old man. It contains all the usual boxing movie tropes — slow-motion knuckle sandwiches, fight victories set to musical crescendos, press conferences filled with yelling, motivational speeches and, of course, training montages. But when these tropes are in the hands of director Ryan Coogler, they feel as awesome as Rocky’s first adventure in 1976. The slow motion is crisp, and the dialogue is poignant. Coogler’s one-shot sequences also give a new perspective to the almost 40-year-old franchise. These long takes are both subtle and dazzling, comprising shots of Adonis walking from the locker room to a fight and, in the film’s second act, a single take boxing match that turns the ring into the stage it really is. The final fight scene is back to the traditional quick cut and slow motion, but that’s not to say it’s not masterfully done. Opposing boxers’ career stats also appear onscreen when we meet them, doing away with clunky exposition and unnecessary narratives, instead showcasing Adonis’ near-encyclopedic knowledge of the sport. These kinds of movies always have a subtextual question attached — why do these people fight? Well, Rocky fought because he was a bum, Apollo fought because he was the best and now Adonis fights because it makes him feel alive — and because he wants to create a legacy for himself separate from his father’s, earning the name “Creed” in his own right. The casting decisions are especially important here considering audiences wouldn’t usually root for the educated, rich kid who wants to fight with the big boys. This is Stallone’s first Rocky role reading words that he didn’t write, which allows him to act as an older, lifetime-beaten Rocky with a seemingly expanded bank of emotions, conveying grief, regret, excitement or whatever else the scene demands. The movie is truly part boxing film, part sociology lesson. Rocky and Adonis’ relationship is one of an old dog and young pup, with Rocky settling into the role previously filled by his mentor, Mickey. Rocky trains Adonis to fight through his issues, while Adonis helps Rocky fight through some stuff that’s not worth spoiling here. Nearly every character in this parcel of the boxing world is either a father or a son, and their fathers were either fighters or trainers. It shows why fathers and father figures fight for their sons, what sons do to live up to their father’s name and what they have to do to step out of their shadows. This number of themes would usually muddle a film, but not “Creed.” It’s a knockout film that blends them all and works on every level. 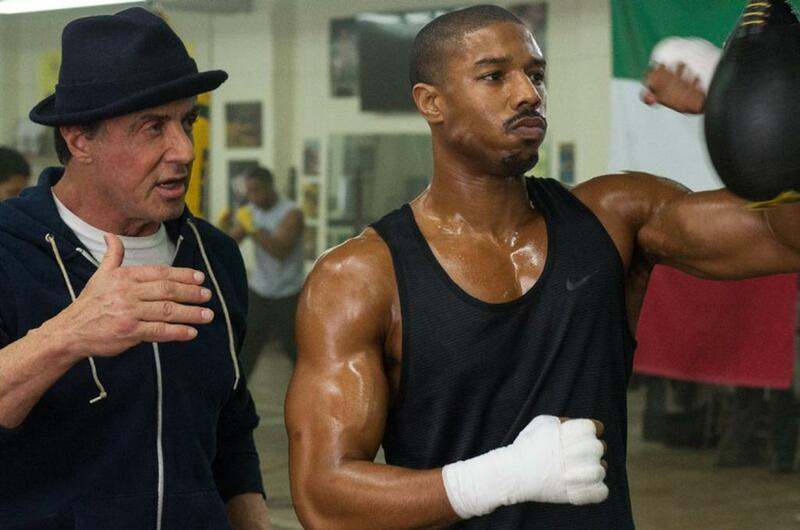 Is “Creed” the best movie of the year? Hard to say. Is it a contender? Absolutely.